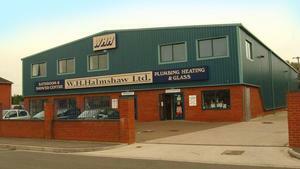 At W H Halmshaw Ltd Glass Merchants, we provide a full range of glazing products to both domestic and commercial customers from our centre in Beverley. With advanced manufacturing equipment and knowledgeable teams, we offer an efficient, affordable service and will go the extra mile to ensure that you get exactly what you want. In addition to stock products, we also offer a fully bespoke service, and whatever your requirements, our experienced, helpful teams will provide a personalised service and expert advice on the right product for you. We stock glass in a variety of different energy ratings, and where required, we can provide a quick turnaround on projects of all types. Our facility is fully accredited, and we work to all relevant industry practices and standards. Simply put, if you need glass for any purpose - give us a call on 01482 867142, or visit our centre in Beverley to discuss your requirements with one of our helpful team members today.